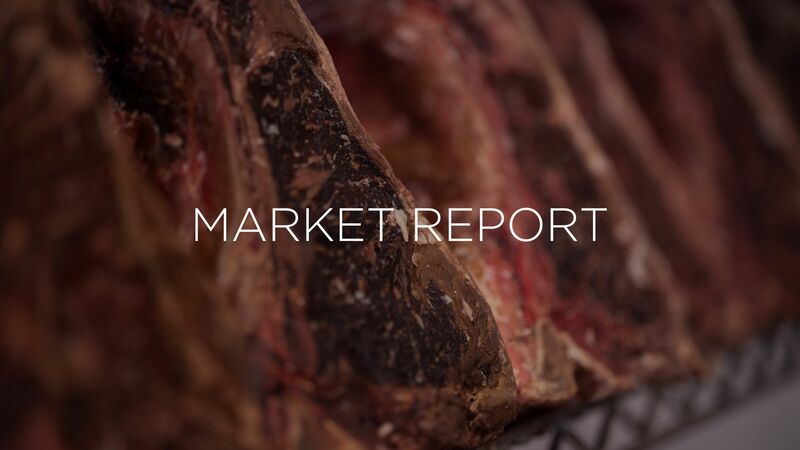 Market Report for February 2019 | Revere Meat Co.
2019 is starting off with great demand overall and optimism everywhere. The real driver of the stronger market pricing in January has been the severe winter weather. Winter weather prevents slaughterhouses from running normal business and also has a negative impact on the performance of cattle. While there are plenty of cattle in the market, the overall supply levels remain current and demand does not appear to be slowing down anytime soon. Live cattle prices should trickle down from here as weather improves, but demand should do enough to offset any extra supply in the market. Export demand has shown some weakness, but does not appear to be any major drag for the time being. 2018 was all about the ribeye and 2019 doesn’t appear to be any different, rib prices are record high and packers are asking for even more into the spring demand timeframe. Top sirloins and outside skirts are the other 2 cuts that continue to surprise the market. The good news is that the availability of premium grades like Prime, upper 2/3 Angus, etc is also at record levels. So while there is some pain on these cuts, the options out there for substitutions are plentiful. Full steam ahead is the forecast for the beef market. Strong demand shows no signs of slowing anytime soon. Striped Bass: We have loaded up the boat the last few weeks while the mid-large range stripers have been abundant. We expect this to be a good item for the next couple of months in regard to availability and pricing. Red Snapper: The snapper have moved off-shore like the tuna and sword to spawn. We are still getting product here and there but its tight at this time. There are domestic snapper around but the wind/weather has kept many of the boats in. Prices are high with availability being so low, especially when the dribs and drabs available are domestic fish. Grouper: The Gulf of Mexico goes into conservancy next week. For years we have been fish during this time and there has been a negative impact on the availability, harvesting fish that haven’t yet had the chance to spawn. This will last until March 31st. Without a doubt prices are going up and product will be tight. We will be able to get fish, searching high and low and sourcing from places as far away as Africa. Tuna & Sword: Tuna is starting to loosen up a bit, thankfully. The past few weeks have led to some of the highest tuna prices seen in half a year. We expect prices to fall next week and become way more reasonable the week after that. Sword, the other pelagic high-demand item, is tight but we are hearings from multiple vendors that they are confident there will be more fish this week and next. Costs will remain high until there is an abundance in supply. Mahi Mahi: Thankfully Mahi Mahi hasn’t let us down this month. Product remains in good supply and prices are staying low and ridiculously affordable. This is the perfect item to feature and special since many other items are high and tight at the moment (sword, grouper, snapper, tuna, etc.). Domestic Shrimp: At the end of the year all the boats came in for Christmas so production to start the new year has been extremely slow. Boats have begun to go back out and fish because of the cheap price of fuel, so that’s a plus! Cheap fuel and a boat doesn’t equal a solid catch, mother nature has to cooperate and that hasn’t been the case over the last few months in the gulf and the start to this year hasn’t been any different. Headless shell-on is short and prices will continue to increase as inventories drop, especially the larger shrimp. Peeled production has also slowed and buying prices continue to firm. Lobster: Up up and away! Prices for frozen tails and meat are soaring and will continue to do so until the new season opens up in May. At this point its simple supply in demand. Since no new supply will hit, prices will only increase as the weeks and months go by. Call to talk about buying large quantities now!